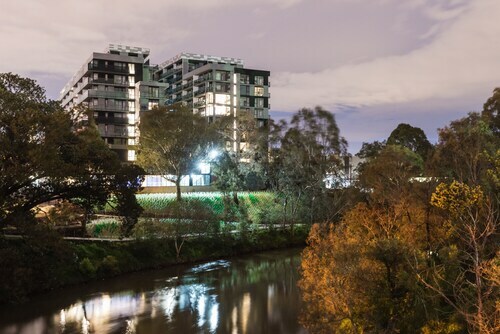 Situated in Abbotsford, this apartment building is 0.5 mi (0.7 km) from Church Street and within 3 mi (5 km) of Melbourne Cricket Ground and Princess Theatre. Her Majesty's Theatre and Rod Laver Arena are also within 3 mi (5 km). North Richmond Station is 20 minutes by foot and Collingwood Station is 26 minutes. 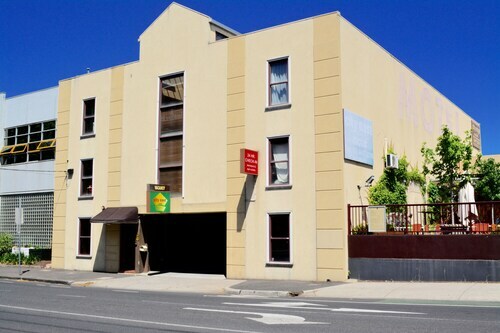 Situated in the suburbs, this hostel is within 1 mi (2 km) of Carlton and United Breweries, Bridge Road, and Yarra Bend Park. 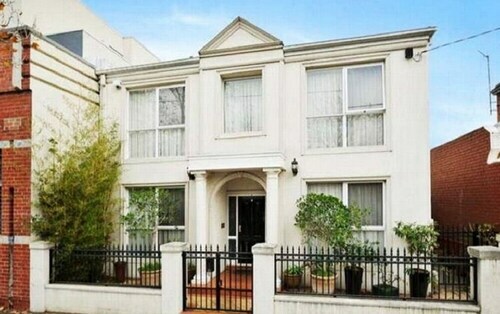 Abbotsford Convent and Fitzroy Gardens are also within 1 mi (2 km). North Richmond Station is only a 4-minute walk and Collingwood Station is 9 minutes. Abbotsford, a district that you can find 4 kilometres east of the town centre of Victoria's state capital, Melbourne, should be seen while you are in town. 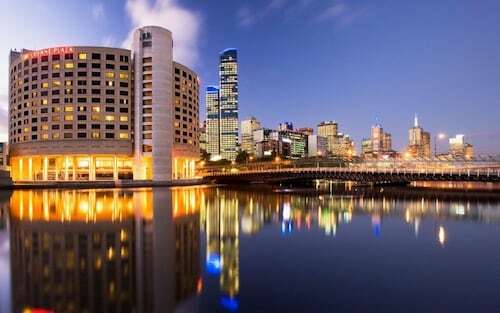 Melbourne is where you'll find many recognisable places to visit, such as the Crown Casino and Entertainment Complex, Federation Square and St. Kilda Beach. Excited to see the best of Abbotsford? The Melbourne Museum is worth your time. Pick up your lucky putter and head out to the well-maintained greens of Yarra Bend Golf Course. 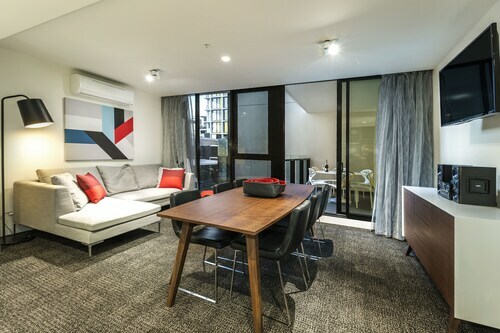 Book a room at the Tribeca Serviced Apartments Melbourne and Quest Kew to be nearby. Pause and grab a snack or catch up with some friends at Victoria Gardens Shopping Centre. 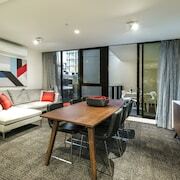 If this spot is more your thing, consider The Lyall Hotel and Spa and Amity South Yarra Apartments. Abbotsford boasts a good selection of accommodations for most kinds of travellers. However, if you're looking for something more upmarket, it is worth checking out the Quest Abbotsford. Cheeky Monkey is the ideal hideaway on a rainy day in Abbotsford. Unwind with a good book or just chat away the afternoon with some friends over some coffee and pastries. When you start craving a more substantial meal, Rydges Riverwalk should be your top pick. Whether you're eating solo or with a partner, this popular local eatery will be sure to impress. If you and your mates cannot find the best Abbotsford hotel, consider the Collingwood hotels guide. Alternatively, the Wotif Bridge Road hotels guide has options for you. There's plenty of awesome hotels and apartments in Abbotsford. So whether you're shopping around for just accommodation, or car hire, flights and activities as well, Wotif can make your Melbourne dreams a reality. How Much is a Hotel Room in Abbotsford? Hotels in Abbotsford start at AU$90 per night. Prices and availability subject to change. Additional terms may apply.